OK, so the post I'm pointing you to--published earlier this morning on my other blog--doesn't solely focus on the PC Engine HuCards that I'm hoping will put me in a Halloween mood in the next weeks; it also includes a few of that system's CD-based games. 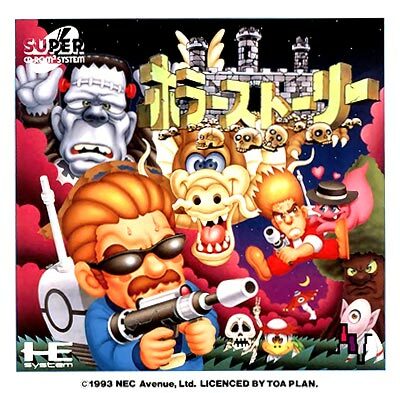 the PC Engine games I'll play in the run-up to Halloween. 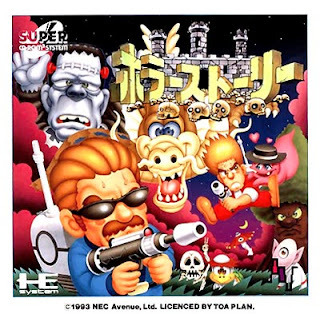 I'd copy and paste that post's content here, but I'm planning to conjure up and publish a similar post--which will focus on spooktacular games from a number of systems, not just the PC Engine--later this week or early next. Is it just me, or does that golden enemy on the ground in the screen shot for Jigoku Meguri look like the Pokemon Ninetails? The broom-riding shoot-em-up seems like it would be super fun! Ah, yes, I can see that, Justin! Of course, I think the creature in Jigoku Meguri is some sort of mythological beast (can't remember its supposed name), so maybe Ninetails is based on it? As for Cotton: Yes, it's definitely fun. Versions were released for the Super Famicom, Saturn and PS1, too. I don't think so, Justin, but I may be wrong. I have a feeling it was just a Japanese release. The PC Engine version *may* be on the Wii VC, though. Or you could play the Super Fami version, which is similar to but different from the PCE version, via emulation.